There’s a new capture the flag event, too. Pass all your red envelopes over to Blizzard Entertainment because Overwatch‘s Year of the Rooster celebration is now live. Twelve of Overwatch’s heroes got new skins in the update—with Mei, Overwatch’s Chinese scientist, getting two. All heroes have new voice lines to celebrate the Year of the Rooster, with plenty of emotes, sprays, and highlight introductions to go around. And we’re really lucky this year: Blizzard also added a capture the flag–style brawl. Called Capture the Rooster, the mode pits two teams of six against each other on Lijiang Tower, tasked with capturing the enemy flag while defending their own. The first team to capture three flags—or the team with the most captures when the time runs out—is the winner. Capture the flag gameplay is common in shooter-styled games, making this mode one Overwatch fans have been clamoring for. Lijiang Tower, already decorated with red lanterns, is looking a little extra fancy for Year of the Rooster, too. But before you jump into that, let’s circle back to those skins. They’re fantastic, so I hope you’ve been saving your Overwatch cash. 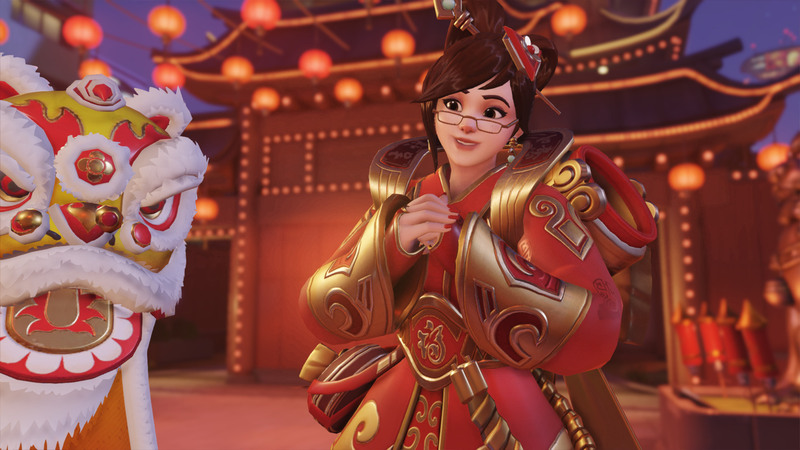 Mei has two new outfits for Year of the Rooster: Chang’e, the purple and jade skin, and Luna, where she’s donned in red and gold. Both skins, perfect for ringing in the Chinese New Year, cost 3,000 Overwatch credits. 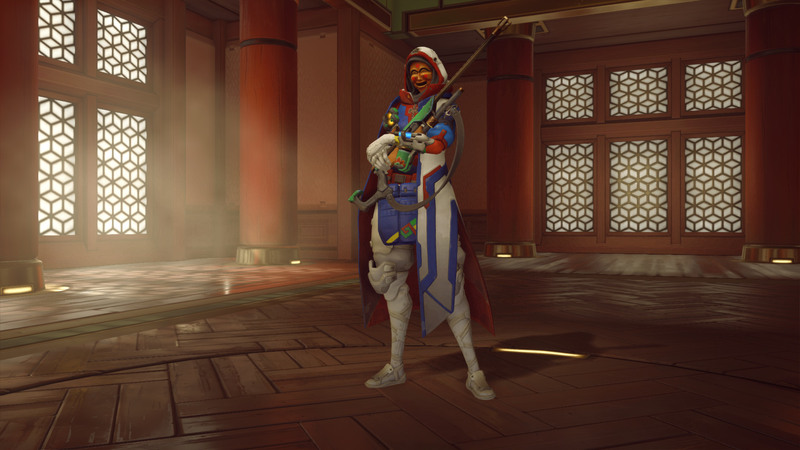 Ana’s got a new mask, a tal, which is traditional in Korea. The rest of her look is basically a recoloring of her regular wear, but with a festive twist. Tal Ana costs 750 Overwatch credits. 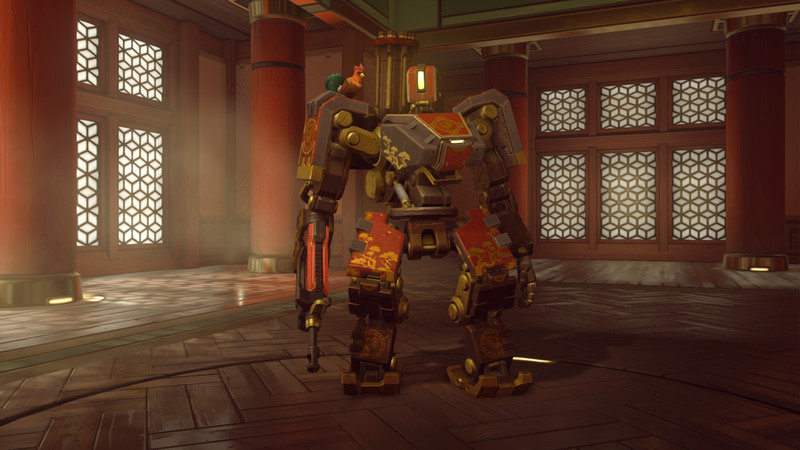 Not only is Bastion decked out in black, red, and gold, but the Year of the Rooster skin has turned bird pal Ganymede into a tiny rooster. This skin costs 750 Overwatch credits, and looks really awesome paired with the new firecracker pose also available now. Palanquins were often used to carry royalty around, though in Korea the wheel-less vehicle is often called gama. 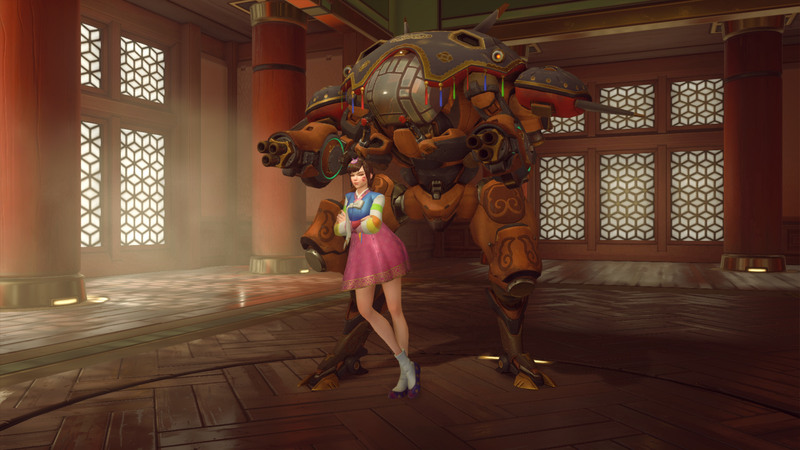 D.Va’s mech is a play on that, decorated as if D.Va is royalty. (For us, she is.) 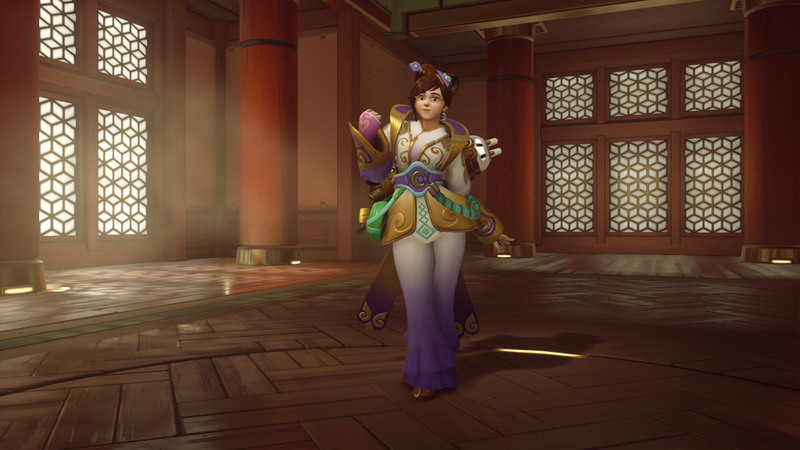 Her new skin puts the Korean progamer in a traditional Korean hanbok. 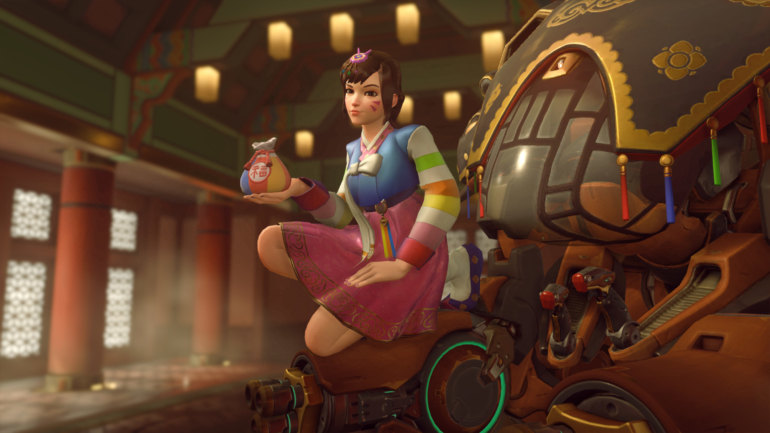 Palanquin D.Va costs 3,000 Overwatch credits. 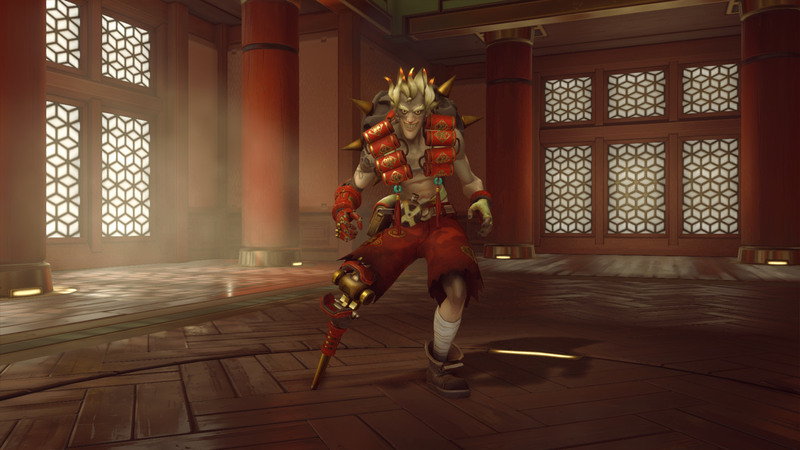 Junkrat loves to blow stuff up, so it’s no surprise he’s got a Year of the Rooster skin loaded with things that explode. There’s a lot of fire to go around when the skin is paired with his new firecracker emote, too. Firework Junkrat costs 750 Overwatch credits. Mercy looks regal in her red and gold Year of the Rooster skin. All gold with a touch of red, her Golden Mercy skin costs 750 Overwatch credits. She’s got a new highlight intro, too. In Chinese tale Journey to the West, Sha Wùjìng is part of the crew in the tale—often seen as a demon in the story. One of the more grisly characters, it makes sense that Blizzard gave Reinhardt this skin. And here’s a bonus: Wujing Reinhardt carries the character’s badass staff. 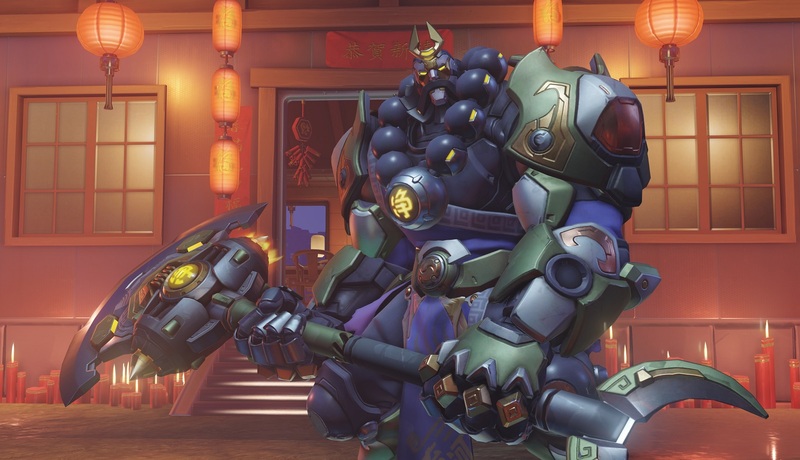 Wujing Reinhardt costs 3,000 Overwatch credits. Bajie Roadhog is terrifying. 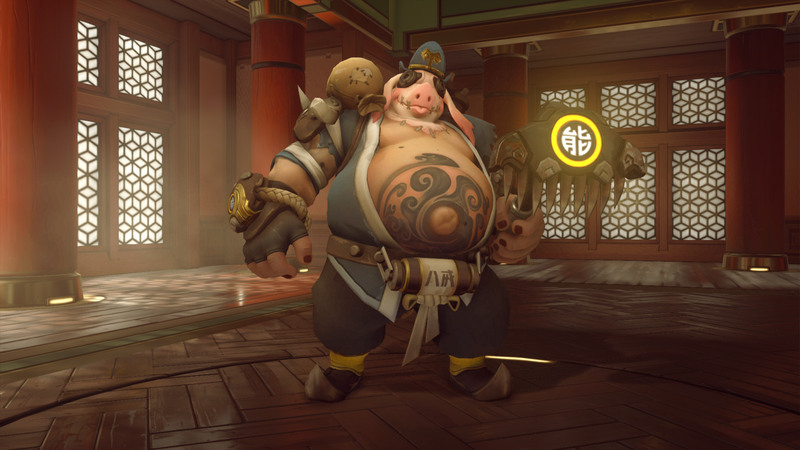 With a pig mask literally stitched to his face, Roadhog is dressed as Zhu Bajie, another character from Journey to the West. Bajie carries a nine-toothed rake in the story, and he’s got it in Overwatch, too. Bajie Roadhog costs 3,000 Overwatch credits. Roadhog’s also eaten too much bao in his new highlight intro, which is a bit cheaper at 750 Overwatch credits. 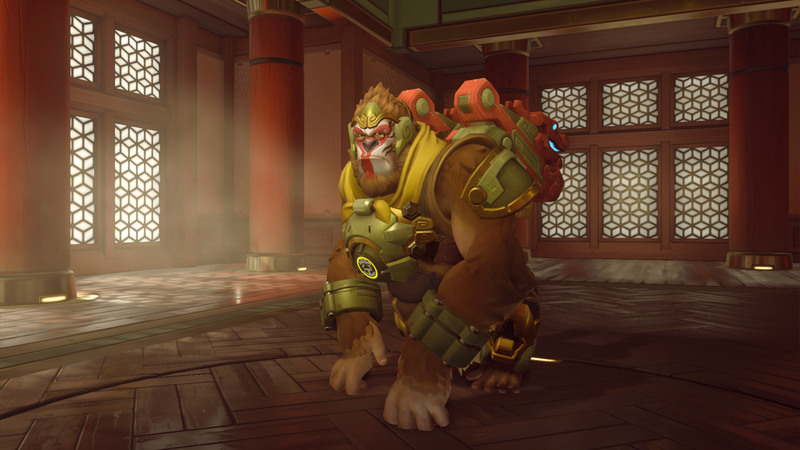 Winston is Sun Wukong, the Monkey King himself, in Overwatch’s Journey to the West–inspired skins. The main character of Journey to the West, Wukong is really a natural fit for Winston. He’ll cost 3,000 Overwatch credits. Again, another natural fit. Sanzang is a Buddhist monk in Journey to the West, which fits his role in Overwatch quite well, too. 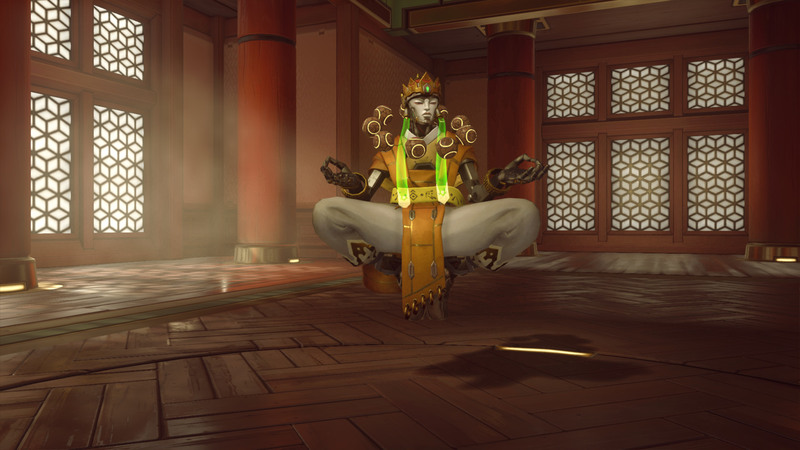 Rounding out the group of Journey to the West skins, Sanzang Zenyatta costs 3,000 Overwatch credits. Symmeta’s Year of the Rooster look is inspired by the traditional Chinese qipao. Red and gold throughout, this skin costs 750 Overwatch credits. With black, gold, and red, Tracer is ready to celebrate Year of the Rooster, too. 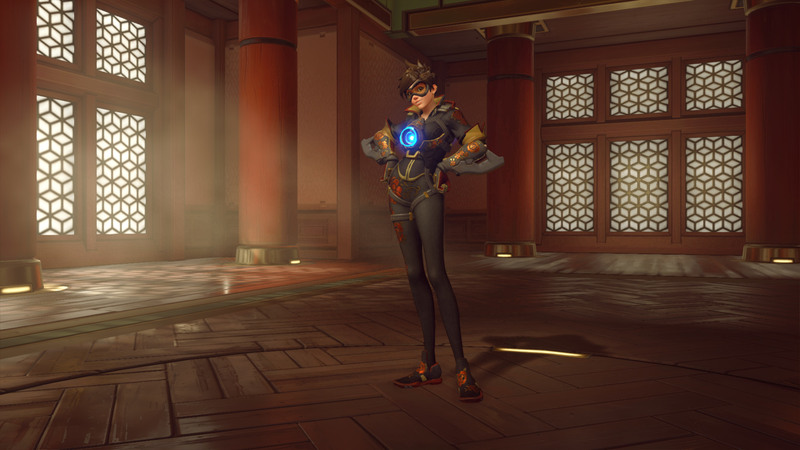 Basically a recoloring of her regular wear, Rose Tracer costs 750 Overwatch credits. Tracer’s lion dance highlight introduction is even better, and it also costs 750 Overwatch credits. 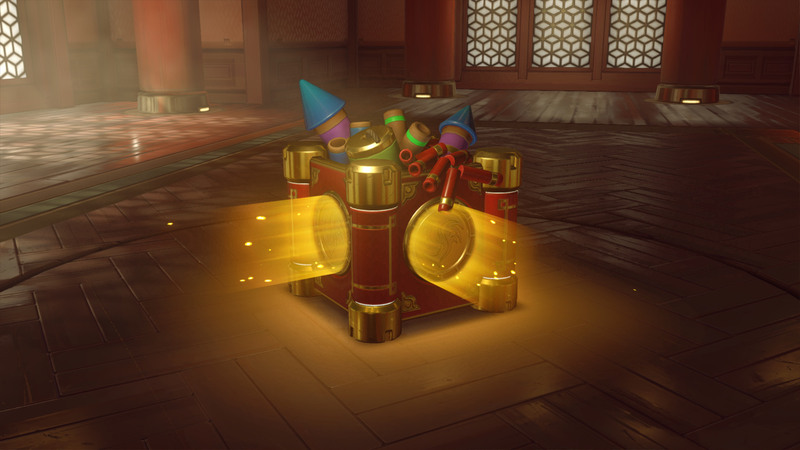 All Overwatch players get one free loot box at the start of the Year of the Rooster event, but you have until Feb. 13 to amass more.